In 2015, the United Nations Member States committed to the 2030 Agenda, a 15-year plan to support people, the planet, and prosperity. The Agenda aims to eradicate global poverty sustainably and inclusively through 17 Sustainable Development Goals (SDGs) targeting issues such as poverty, hunger, education, and health. Goal 6 of the 2030 Agenda, which focuses on clean water and sanitation, aims to “ensure availability and sustainable management of water and sanitation for all” by 2030, with corollary benefits for sustainable development and the environment. This goal is broken down into eight separate targets and 11 indicators (ways to measure progress) that focus on challenges around drinking water, water quality, sanitation and hygiene, water use efficiency, water management, and water-related ecosystems. There is a distinct focus on supporting developing countries and encouraging the participation of local communities. 2030 SDGs, full text here. Business support is vital to the fulfillment of the 2030 Agenda. SDG 6 encompasses important issues that the world — including businesses — must confront now, or face increasingly into the future. Given the June 2018 launch timeline for the SDG 6 Synthesis Report, which will summarize the current status of SDG 6 and its implications for policymakers, it is important to highlight now the role that the private sector can and must play in fulfilling SDG 6. If private sector stakeholders can align their own actions around water with SDG 6 and the other Global Goals now, meaningful change on water issues will be much more attainable in the future. According to CDP, more than two- thirds of the world’s largest companies report exposure to water risks; in 2016 alone, water-related impacts to disclosing companies totaled $14 billion. In the World Economic Forum’s yearly global risk report, for the past five years the issue of water crises has ranked within the top three in terms of global risk and impact. Several of the other top five risks are also water-related. To address their water risks, businesses will need to increase engagement with global water and sanitation efforts such as SDG 6. The impact of water stewardship and the number of opportunities for collective action with other stakeholders on shared water risks will be greater overall if companies can align with global efforts already underway, such as the SDGs. Research by the Business and Sustainable Development Commission (Business Commission) shows that achieving the Global Goals would create at at least US$12 trillion in market opportunities and up to 380 million new jobs by 2030. In 2017, companies reporting to CDP on water risk invested US$23.4 billion in more than 1000 projects in 91 countries to tackle water risk. But corporate action on the SDGs has a long way to go; according to China Water Risk, water stewardship actions do not yet match the level of risk. In addition, CDP points out in their Global Water Report 2017 that the scale and number of water challenges is continuing to rise, and private sector action around water must occur faster and better. The first step for businesses interested in engaging with SDG 6 is to work on water stewardship in their operations. 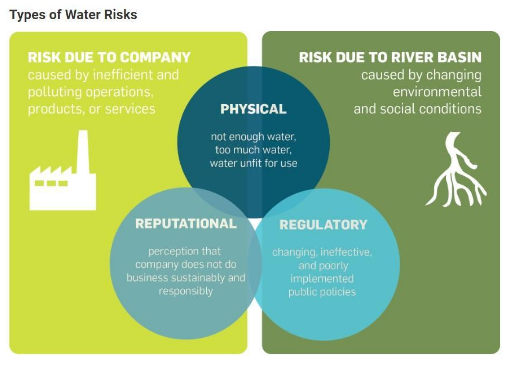 There are myriad ways companies can begin to act as water stewards, including evaluating their water risk, embracing disclosure and transparency, and setting context-based water targets. All of these steps support direct stewardship actions like reducing water use, ensuring WASH access for companies’ employees, investing in ecosystem restoration projects, and treating or reducing water pollution. Engaging with these aspects of stewardship will help companies avoid risk and further global progress on SDG 6. 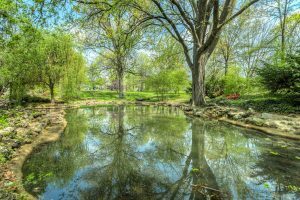 If you are part of a company that is new to water stewardship, consider checking out the CEO Water Mandate’s page on how to get started. The CEO Water Mandate mobilizes business leaders to advance water stewardship, sanitation, and the Sustainable Development Goals through individual and collective efforts on the six elements of the Mandate: Direct Operations, Supply Chain and Watershed Management, Collective Action, Public Policy, Community Engagement, and Transparency. To join, companies must be current signatories of the United Nations Global Compact, and each year will be expected to report a Communication on Progress covering implementation of the six Mandate elements. Business Reporting on the SDGs: An Analysis of Goals and Targets. Incorporating the SDGs, including SDG 6, is not a one-size-fits-all process. However, the value in aligning corporate water stewardship strategies and sustainability objectives with the 2030 Agenda is clear; for many companies, the value in reducing water risks is much greater than that of inaction. This market is only creeping forward because what’s missing is political will and implementation models. Look at California: It should be ahead of much of the country in this, but instead, it’s behind the East Coast and the Pacific Northwest. It is interesting to learn that there is so much that can affect the whole of the water. This is important to keep in mind so that you are doing your part to keep it in good condition. My cousin might like knowing this as he researches industrial sanitation services more. In developing countries, political leadership is usually don’t have sense about the gravity of the situation of the water related problems. This behavior along with lack of planning and technical skills make the problem lingering-on for years to come and it is noticed only when it approaches it last stages.